FO: Ivy Sockettes | Stitch, Brinn, Stitch! The Ivy Sockettes are finished! Pattern: My own, sort of. Toe up with a wedge toe and an odd short row/gusset hybrid heel thing. Yarn: Knit Picks Stroll (Essential) in Ivy. Pretty much used up the rest. So these knit up pretty quickly and are a simple, utilitarian object. They will get a lot of wear throughout the seasons. The yarn is a good, solid sock yarn and I believe I have previously professed my love for it. 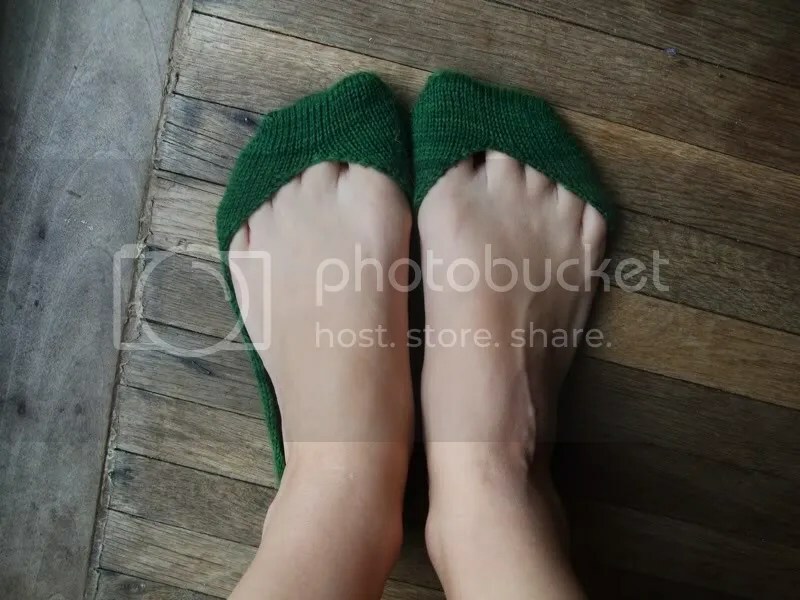 It’s cheap and works up into nice, soft, sturdy socks. The construction of these sockettes, on the other hand, was…special. Because I knit my Artichoke socks two at a time, the leftover yarn was already split into two balls, so I knit these two at a time too. Which worked out fine until I got to the heel. As it turns out, I divided my yarn unevenly, so I ran out of yarn on the first sock and had to use a tiny bit of different sock yarn. Which is annoying because I had plenty in the other ball after I finished the second sock. I knit a mini-gusset into each sock. The first heel attempt was a short row heel which resulted in a too-wide heel and some Issues. So I ripped it back and moved the short rows more to the center and worked some decreases like in a regular flap heel turn to decrease the gussets out of the number of stitches on the back of the heel. 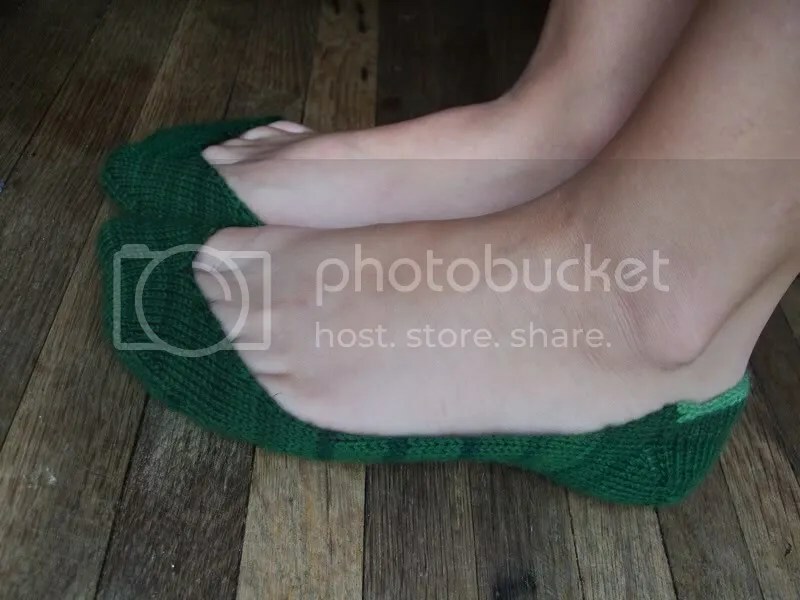 All in all, they came out pretty well and the fit is great–the gusset means they’re higher in the back of the heel and the shallow toe means the sock is hidden under most shoes. So yay. Sockettes are a perfect use for the leftovers after a pair of mid-calf socks and I think I might write up the pattern the next time I make a pair. Would anyone be interested in testing? And I have, of course, started another pair of socks (Skew in KP Stroll Handpaints), so I suspect I’ll be knitting more sockettes soon. PS: I am in DC for the week to move my sister into college and to visit my boyfriend, so posting might be spotty. I am planning to visit a new yarn store while I’m there though, so there’ll probably be a post about that. Oh these are great too!